Lizzo stormed The Ellen DeGeneres Show with an exhilarating performance of her latest single “Juice” Tuesday. The performance marked the first time Lizzo has performed the song on television and she aptly made the most of the occasion. 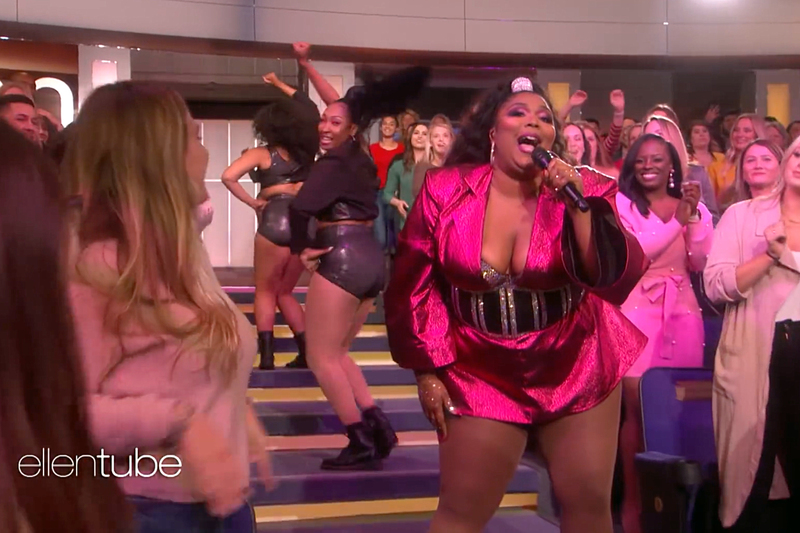 As Lizzo breathlessly tore through the song’s delightful punchlines – “David, you ain’t being slick/Don’t dare try to cop a feel” – she performed a expertly choreographed routine with her backup dancers, waltzed through the Ellen audience and capped the whole thing off with a quintessential flute solo. Lizzo released “Juice” at the top of the year and on Monday she announced her forthcoming album, Cuz I Love You , which arrives April 19th. The record marks Lizzo’s first full-length since 2015’s Big Grrrl Small World , while it also follows her 2016 EP CoconutOil . Lizzo will kick off a North American tour in support of Cuz I Love You April 24th at the Warfield in San Francisco.